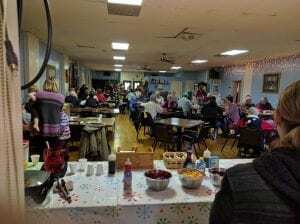 Home » Articles » Things To Do » Get Some Belgian Waffles This Saturday! Get Some Belgian Waffles This Saturday! 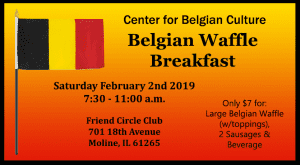 On the first Saturday of every month, The Center for Belgian Culture hosts a magnificent Belgian Waffle Breakfast at the Friend Circle Club (701 18th Avenue Moline). This month’s breakfast takes place this Saturday Apr 6 from 7:30 – 11 a.m. (or until the batter runs out).